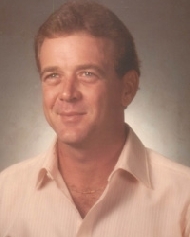 Neal Kirk Jones Jr. obituary. Carnes Funeral Home. Jun 17, 2012 The Carnes Funeral Home Staff offers our sincerest condolences to the entire Jones family. It was our honor to serve your family. Neal Kirk Jones Jr. was born in Beaumont, Texas on September 16, 1948. He passed away on Friday, May 6th 2011 at the age of 62 years, in Galveston Texas. He was preceded in death by his father, Neal Kirk Jones and his mother, Lenora Irene Caple Jones. Neal is survived by his wife, Linda Diane Jones of Galveston, Texas; son, Noah K. Jones of Galveston, Texas; stepsons, David K. Dearmore and his wife Harlow of Texas City, Texas, Derrick L. Baker of Galveston, Texas, Norman L. Baker of Galveston, Texas; stepdaughter, Brandy M. Gamboa and her husband Anthony of Galveston, Texas; sister, Lenora O’ Grady and husband “Bill” William of Mauriceville, Texas; brother, Troy Frank Jones of Troup, Texas; grandchildren, Derrick L. Baker Jr. of Galveston, Texas, Brianna L. Baker of Galveston, Texas, Alex Jones of Houston, Texas, Jack Jones of Houston, Texas, Addison Dearmore of Texas City, Texas, Vanessa M. Gamboa of Galveston, Texas, Conner K. Baker of Galveston, Texas, Christopher L. Baker of Galveston, Texas. Neal and his wife Linda relocated to Galveston, Texas. He spent a lot of summers there throughout his whole life. Neal once said he was lost without his Gulf of Mexico. Neal grew up in Beaumont, Texas. He graduated from Southpark High School in Beaumont, Texas and attended LaMar University. Neal served his country with the US Air Force and was a veteran of the Vietnam War. He was an animal lover and spent many years and long hours caring for his beloved pets. Visitation will be held on Saturday, May 14th, 2011 starting at 10:00 a.m. until Noon at Carnes Funeral Home (exit 15), Texas City, Texas. A funeral service will follow the visitation at Noon.